Paramount Pictures had a cartoon department for 40 years (from 1927 to 1967), but the studio has done everything it could to erase it's animated past. It's backlog of cartoons have been sold off throughout the years, and the subsequent owners have not been kind to the original presentation of these films. FLEISCHER'S COLOR CLASSICS: U.M.&M. (and NTA see below) really abused the Fleischer negatives. They often placed hideous black bars to obscure all references to Paramount Pictures, Technicolor and the original copyright notice. In the early days of TV, the major movie studios distanced themselves from television. Television was considered the enemy of motion pictures, and the movie studios wanted to keep the theatre owners happy - by shunning the new medium. Thus, when older product was sold to TV, great pains were taken to remove reference to the original movie distributor. But U.M.&M. and NTA did it without any style... as shown in these actual NTA titles (below on the left) versus the original Paramount titles cards (on the right). The COLOR CLASSICS series had a variety of different title treatments. 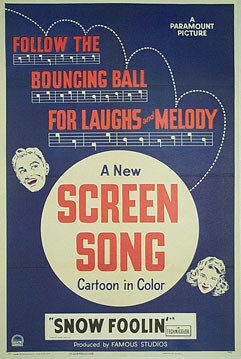 The longest running was the "parchment style" (see DANCING ON THE MOON below) which was featured in 14 cartoons - from KIDS IN A SHOE (1935) to A CAR-TUNE PORTRAIT (1937). 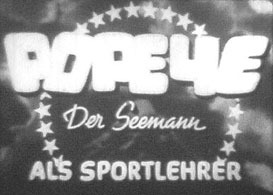 After that the titles varied slightly till the end of the series in 1940. Go behind the scenes at Fleischer Studios  Read a production draft for A CAR-TUNE PORTRAIT (Color Classic, 1937). NOTE: Compare this title card with the one at left. This was Paramount's theatrical reissue title. Brought Back By Popular Demand!" 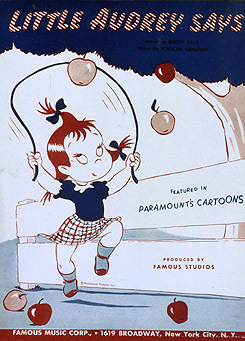 Paramount Pictures began its association with animation in the teens when it distributed the Paramount-Bray Pictograph, a magazine style newsreel with live action features and a cartoon. In 1919, it changed its name to The Paramount Screen Magazine and introduced Felix The Cat to the world. 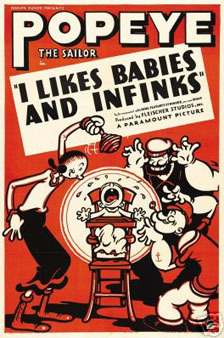 In the late 1920s, Paramount began its 15 year association with Max Fleischer - releasing Fleischer's wonderful INKWELL IMPS - KOKO THE CLOWN cartoons. 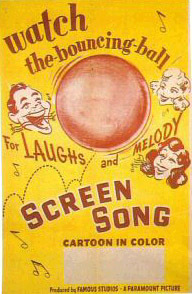 In the 1930s, Betty Boop, Popeye and Screen Songs flourished. In the early forties, after the studio completed two great features GULLIVER'S TRAVELS and MR. BUG GOES TO TOWN, and began the amazing SUPERMAN cartoons, Paramount took over and outsed the Fleischer Brothers. Fleischer historian par excellence Mark Langer reveals the last days of Fleischer and the emergence of Famous as thus: "The Fleischers were after Paramount to help back a feature for many years, but Paramount executives had considerable doubts that the studio was capable of pulling it off, even after Disney was well advanced with SNOW WHITE AND THE SEVEN DWARFS. 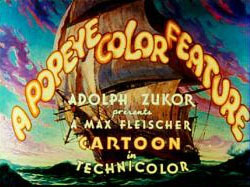 The Fleischers made the two reel color Popeye films in an attempt to persuade Paramount that there was a market for longer animated films. Finally, after considerable internal debate, Paramount decided to back the feature project, largely on the evidence of skill evident in the David Tendlar film TEARS OF AN ONION. GULLIVER'S TRAVELS was chosen as the story by Max Fleischer. It had long been a favourite of his. Paramount did consider other topics, including Peter Pan, but Max's choice prevailed. There was considerable difficulty working up a proper script and casting the film. An attempt was made to get Gary Cooper to do the voice for Gulliver. There is lots more that I could say about the production, but that's too long a story. OK. GULLIVER'S TRAVELS went WAY over budget, and the studio became highly factionalized during its production. Personal and professional disputes between Max and Dave (revolving around Dave's desire to have greater control over production and the music, and Max's disapproval of Dave's behaviour during an affair and subsequent divorce) led to the brothers not speaking to each other any more. 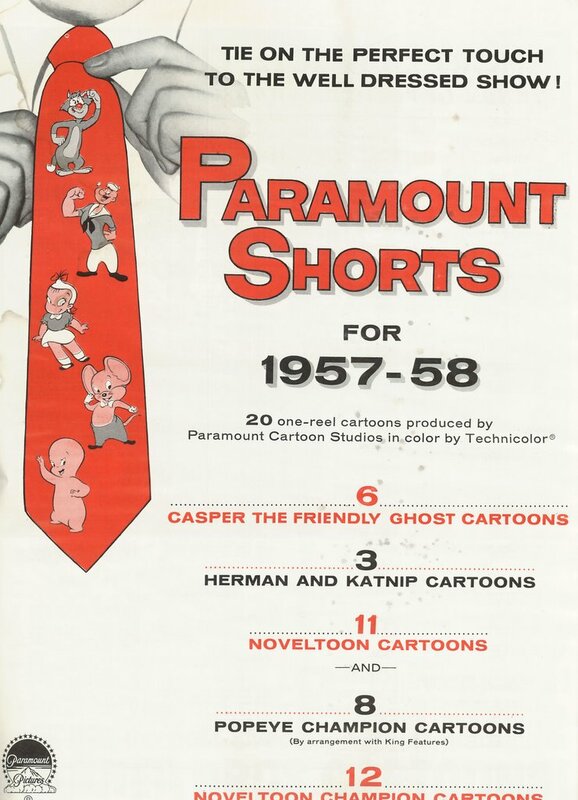 Paramount was concerned about the drop in quality of shorts coming from the studio (the "Stone Age" cartoons in particular). 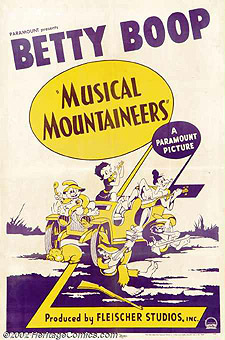 In order to obtain financing from Paramount for 1940-41 productions, the Fleischers had to provide Paramount with undated, signed letters of resignation from Fleischer Studios, Inc. (Famous Studios officially began on May 24th 1941 with Max Fleischer and Dave Fleischer as employees - one year later Paramount accepted their resignations) Production proceeded with MR. BUG GOES TO TOWN, which, unlike GULLIVER'S TRAVELS, came in on budget. The "Superman" cartoons were also quite successful. But because of the Consent Decrees, the release of MR. BUG GOES TO TOWN was held up, and because of the high cost of the "Superman" cartoons, it would take a long time for them to recover their costs. The studio was in a grave financial crisis, which they might have survived if Paramount had confidence in the management. However, conditions between Max and Dave continued to deteriorate. Dave left the studio for New York, and Max sent a telegram to Paramount stating that he could not work with Dave anymore. Dave then signed with Columbia to supervise the production of "Screen Gems" cartoons. This put Paramount in an untenable position, as the co-owner of the company that was making Paramount's animated films was also the head of production of cartoons for Paramount's competitor. Paramount called their loan, which effectively bankrupted the Fleischer Studios. The letters of resignation were produced, and Max and Dave were no longer officers of the company. Sam Buchwald went to New York for emergency negotiations with Paramount, and a new company was formed under the partnership of Buchwald, Izzy Sparber, Seymour Kneitel and Dan Gordon called Famous Studios, which was to continue production of the films previously made by the Fleischers. Within a short period of time, Famous relocated from Miami back to New York (Dan Gordon left shortly after). Some details of this can be found in an article that I wrote in Cinema Journal on the Standard Production Reference about ten years ago." 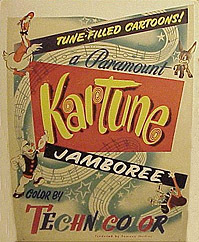 Paramount maintained a cartoon shorts unit in New York. First as a partnership called FAMOUS STUDIOS (from May 1942), then in full control (from Oct. 1956) as PARAMOUNT ANIMATION STUDIOS (through 1967). 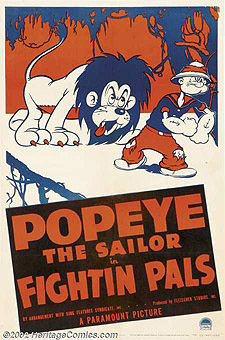 The Popeye cartoons were taken over by Associated Artists Productions (AAP), the remaining 1940s cartoons went to U.M.M. (later NTA, today Republic) and the 1950-1962 titles were sold to Harvey. Paramount still owns the 1962-1967 cartoons. 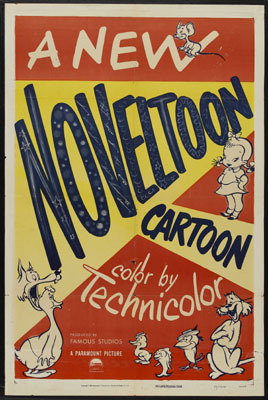 Original NOVELTOON opening: Here is an example of the original Noveltoon theatrical opening used from 1943 to 1955. These titles were replaced in the late 1950s by Harvey Comics. 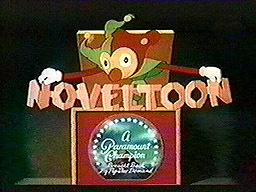 Noveltoons became Harveytoons, with a modified "jack-in-the-box" opening and closing title, and jumpcuts instead of dissolves during the opening credits. Click here to see original artwork (cel & pencil drawing) from this opening. FEATURING: Each NOVELTOON cartoon opening title ended with a "Featuring..." card containing the star of that particular short. Here is the evolution of that title card art, with examples ranging from the mid-1940s through the mid-1960s. The Screen Songs often ended with a live action tag with the Paramount logo superimposed over it. The U.M.&M. T.V. Corporation was a consortium of television stations that bought up film libraries, headed by Charles M. Amory. Amory was the head of Minot T.V. (founded in 1951 in New Orleans), and organized U.M.&M. in 1954 as a consortium of United Film Service of Kansas City, Missouri, Minot T.V. and MTA TV. According to the February 1956 issue of Top Cel, UM&M closed the deal for the pre-1950 Paramount shorts in January 1956 - at a cost of $3 million dollars. NTA is National Telefilm Associates, originally a TV distribution subsidary of 20th Centurty-Fox Film Corporation. Film editor Eric Albertson started his career at U.M.&M. - his first job was to replace the Paramount titles. He wrote me to explain: "I worked for UM&M, which was bought out by NTA in about 1957. That was Ely Landau's company. The title replacement was done in 1954 & 55. The color correction and the manufacturing of 16mm Eastman color negatives was done under my supervision at Pathe Labs. Some was also done at Tri-Art (Duart). Polarcolor, Magnacolor, True color, Technicolor, both two and three color separations. You're correct in that the replacement B/W logos were cut into the 35mm negative. We then made IPs and a reduction IN from that. We also made 32mm INs, and 35/32mm INs. For Technicolor we made 35mm IPs from the separation negatives and reduction Eastman Color INs from those. All the above work was done at the old Pathe Labs in New York. For Polar Color, Magna Color, etc, we did most for the work at DuArt in New York, and some at Movielab who had developed the octet printer. One pass of the negative gave you eight prints. All materials were ultimatly stored at Bonded Storage in NY." In film collecting circles, a common expression when gauging an old print's color condition is "NTA Red". That's because old color prints of cartoons with NTA logo have faded to beet-red, washed out to pink. The chemical process used didn't hold color well - unfortunetly that means that existing copies of many Fleischer Color Classics, George Pal Puppetoons, Famous Novetoons and Little Lulu films are today in very poor shape. Reader Glenn G. sent in this info about NTA: "My great uncle worked for National Telefilm Associates (NTA) for many years. I mentioned to him once that a lot of the TV prints I'd seen of color UM&M/NTA cartoons were very reddish. He told me that part of that was probably because of fading due to Eastmancolor's instability. That I knew. What I didn't know was this: in the 1950s and well into the 1960s, it was customary, when 16mm prints were being made up for broadcast television use, to accentuate the red in the printing process. He said that was necessary to make those color prints "read correctly" on the black & white equipment in use back then. He also told me that NTA originally made up prints from the same negatives UM&M had prepared in the 1950s. NTA just replaced the old logo on the negative. Another thing he told me was that in the 1970s NTA finally started making up new television negatives for those cartoons, but by then, there wasn't much interest in them by local stations, in part because of the large number of black & white titles -- he said trying to sell B&W cartoons after TV went all-color was futile -- and in part because there weren't a lot of cartoons with "big name" characters, such as Bugs Bunny or Popeye." SPECIAL END TITLES: Famous Studios occasionally did a special "end title" which would incorprate the Paramount logo into the cartoon. These were cut out when Popeye cartoons were sold to A.A.P. and others cartoons were sold to Harvey and U.M.M. TV Corp.
ALPINE FOR YOU (1951 - see image at right) and POPEYE THE ACE OF SPACE (1953 - see end title successive frames at bottom of this page) are two unique Popeye cartoons - both of which have been recently restored on Cartoon Network. PEDRO AND LORENZO (1956) ends with a storybook closing, the Paramount logo on the backcover (see succesive frames at left). RABBIT PUNCH (1955) has a special ending where Tommy Tortoise pulls the Paramount mountain closing credits from boxing canvas to full screen then walks in front of it. NO IF'S ANDS OR BUTTS (1954) starring "Buzzy, The Funny Crow" also featured a special ending. Considering this cartoon features Buzzy, a black crow, and the cartoon centers around smoking, I doubt we'll see this on television ever again. And the original end title has been missing for years. Thanks to Cartoon Research detective Milton Knight we are pleased to present the original end title to this cartoon. Buzzy takes a drag on a "King size!" cigarette, blows the smoke into the air, revealing the Paramount logo. Very Kool! One of the biggest mysteries for us original-title detectives is the original Paramount openings to the Max Fleischer and Famous POPEYE cartoons. TV Distributor A.A.P. did a great job of masking the Paramount originals. 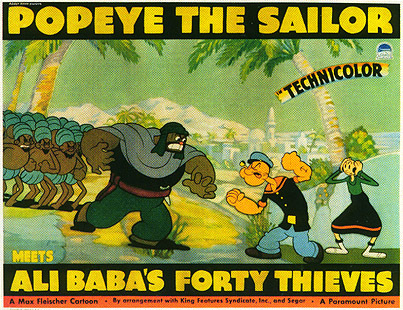 At left, is the previously lost title at the head of POPEYE MEETS SINDBAD (1936) - now restored. 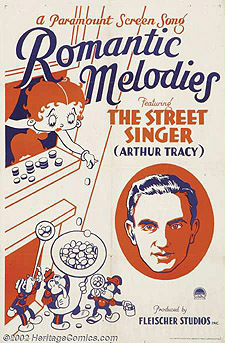 At right is the rarely seen opening title that appeared on only four 1939 cartoons. 1941-42 Fleischer Studios black & white Popeye cartoon begins with the Paramount mountain logo, while the first bars of the Popeye theme is heard ("I'm Popeye The Sailor Man"). The mountain disolves to a close up of Popeye's pipe. 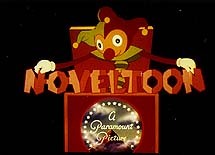 The words "A Paramount Picture" fade away leaving the pipe to "Toot Toot", then the main title (at below left) appears. 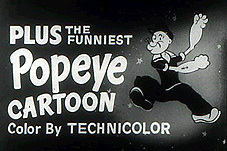 You can see the pipe close-up behind the titles: the rim of the pipe is visible behind the "a" and "t" of the word "cartoon", and the lower part of the pipe is visible under the second "p" in 'Popeye'. After the main title disolves away to the pipe, again in close-up, then the camera pulls away to reveal Popeye's face, and the rest of the credits resume. The camera pull-back is still on most of the AAP prints (b/w and colorized). 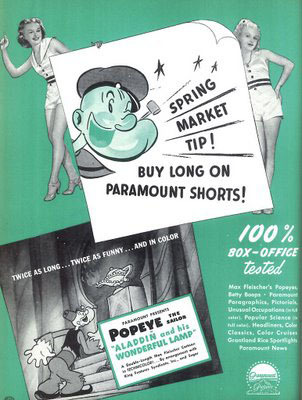 1942-43 Season: The following season, Famous Studios began their Popeye run. 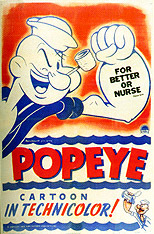 The black and white Famous Popeye's began with Popeye coming out of a porthole (see below second from left) who toots his pipe to the "Popeye" theme. 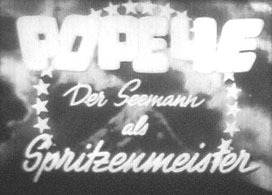 Then the main title appears and Popeye dissolves away (the porthole still appears behind the title lettering). The main title card dissolves away and the production credits appear. POPEYE THE ACE OF SPACE (1953) One of the rarest of the POPEYE opening titles is the one for 1953's 3-D release, "POPEYE, THE ACE OF SPACE". Because it was originally shown in 3-D, it was even given a special designation: "A Stereotoon". 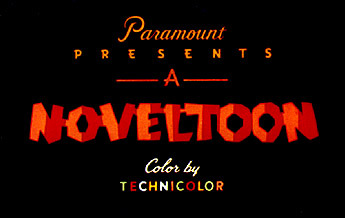 Those words appear below the POPEYE logo (see the third color frame above). Note the titles are shifted slightly left. This print was combined with a "Right" print to create 3-D.
"Ace" cartoon researcher Ed Ryba reports: "In 1953's one and only Popeye "Stereotoon", Popeye, The Ace Of Space, have you ever wondered what the Martians were actually saying? It's obvious that the voice tracks were run backwards in the cartoon. I popped a disc into the mini-disc recorder and made a copy of the audio. Then I took it into my studio, loaded the tracks into the computer and played them backwards. So what are they saying? GIBBERISH!! It sounds like the guy who voiced Baby Huey (Sid Raymond), screaming in some nonsensical dialect or other. I'm guessing the director had him invent a Martian dialect. But when it didn't sound Martian enough (and actually more like what you might hear coming from the animated face of someone vaguely aboriginal), they ran the tracks backwards. Now, that's just a guess about why the tracks are backwards, but it makes sense." Makes sense to me too, Ed. And thanks to Ed, we can all listen to Sid Raymond's martian "gibberish" for ourselves! Click here to hear the backward vocal FORWARD. However, according to cartoon researcher Mark Odell: "The Martian dialect isn't all "gibberish". While binding Popeye's feet to the pedestal of the Electronic Disintegrator, the Martian says (subtitled) "This test must not fail! ", but if you play his vocalization backwards he distinctly says "I almost ruined my machine!" Below is how POPEYE THE ACE OF SPACE originally ended. Popeye toots smoke from his pipe which forms the Paramount logo letters. Paramount also made a 3-D Casper cartoon, BOO MOON, released a few months later. Perhaps "Stereotoons" would have replaced Noveltoons if the fad hadn't died out so quickly. 1935 -1940 Standard End Title: The anchor and cap end title, still visible on most A.A.P. 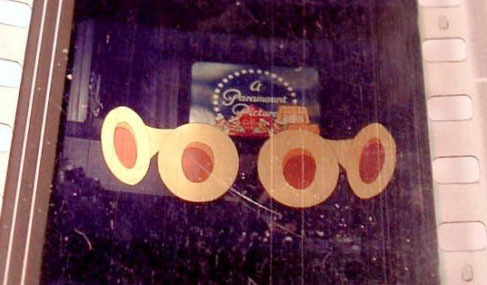 prints originally led into the Paramount mountain logo. 1933 -1934 End Titles: The iris out goes into a bottle of ink - its mouth facing us. The bottle straightens up (via stop motion animaton) and the cork does a somersalt to cap the bottle. The Paramount logo is superimposed and a "The End" title appears over that. Titles from GYM JAM (left) and FIREMAN'S BRAWL (right). 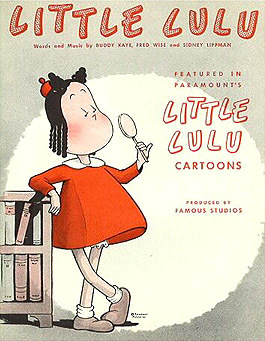 Steve Mufatti drew this short-lived 1951 "Little Audrey" comic strip for King Features Syndicate. These strips were also reprinted in 1952-55 Harvey Comics. Here are a few more. Check out information on all 17 Paramount SUPERMAN cartoons! Special thanks to Ken Layton, Fred Grandinetti and Mark Kausler for contributing to this page.